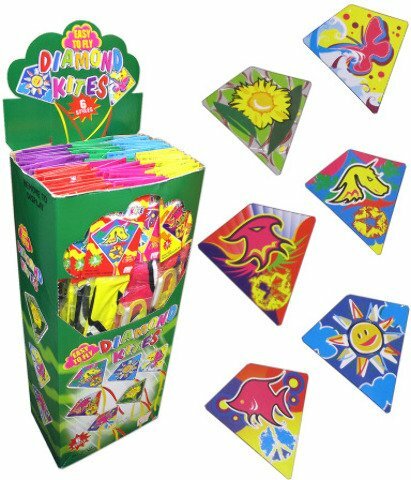 This item is sold by cases of:  for outdoor fun, these easy to fly Diamond Kite Flyers make a great spring or summer pastime. There are 6 assorted styles per display. Includes 120' nylon cord and winder. Each kite measures approximately 24" x 26". Each display comes with 72 kites.